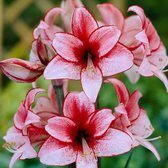 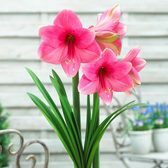 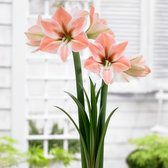 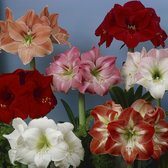 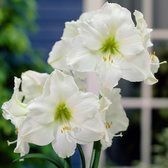 Hippeastrum bulbs are quickly becoming the rage amongst the modern gardener and are ideal for all skill levels, loved by beginners and experts alike because of their superb flowering potential with minimal effort required. 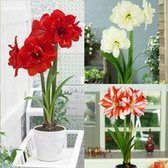 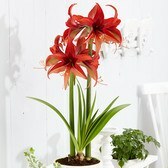 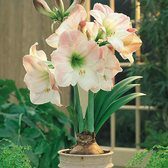 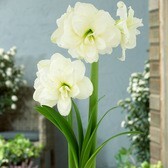 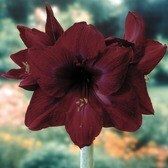 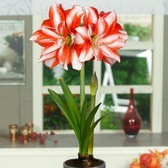 Amaryllis are a great bulb for flowering indoors during the winter months, offering premium sized flowers in many colour variations. 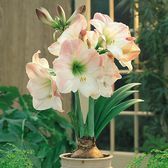 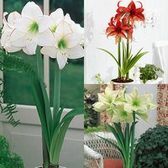 Indoor flowering Amaryllis make excellent pot plants for indoors and are available in two different bulb sizes - the standard 26cm+ bulbs which will produce two stems per bulb, however our giant 34cm+ Amaryllis bulb are the largest on the market and will produce three stems per flower bulb.